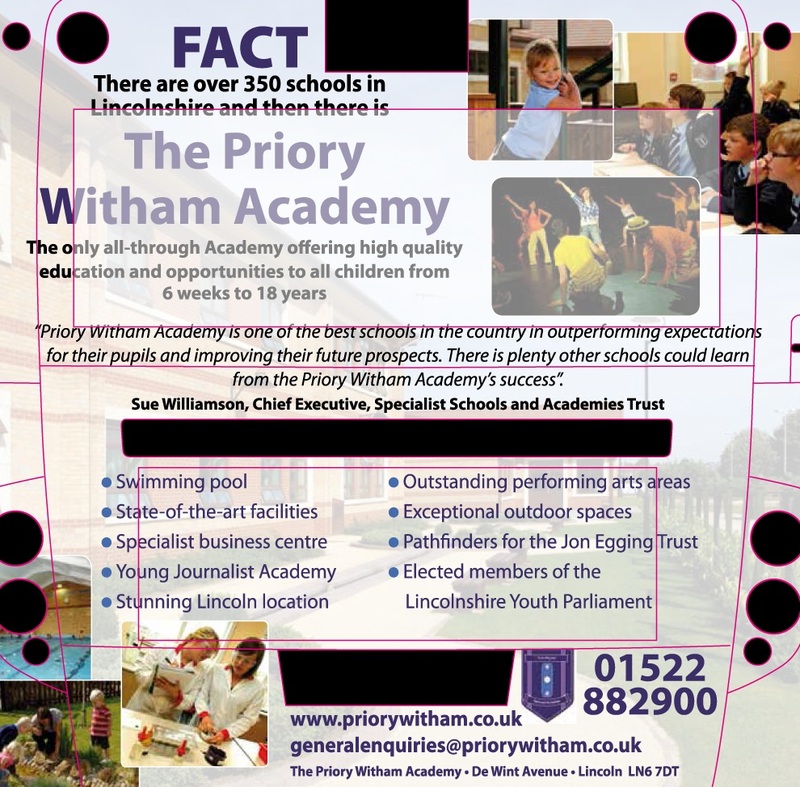 Transport Media are working with one of Lincoln’s leading education providers, The Priory Witham Academy, in a regional outdoor campaign working to infiltrate the local parental audience. From the 8th July, bus rears through the city will broadcast the Academy brand for an entire year, ensuring that the school experiences enduring levels of exposure. Saturating the entire bus rear, the advert boldly presents The Priory Witham Academy in purple lettering, highlighting the school’s pioneering status as ‘The only all-through Academy offering high quality education and opportunities to all children from 6 weeks to 18 years’. A collection of photographic images presents the Academy’s educational and extra-curricular spectrum, reinforced by a testimonial from the chief executive of the Specialist Schools and Academies Trust, Sue Williamson. A bullet point list of beneficial components takes a central position, including ‘exceptional outdoor spaces’ and ‘specialist business centre’, footed by web, email, telephone and location contact details. Advertising with Transport Media will allow The Priory Witham Academy to effectively manage their marketing, with the bus rear format providing high-frequency access to a geographically relevant audience. The platform communicates directly with road users, offering extended dwell time during heavy traffic periods and engaging directly with vehicles as they travel behind the bus. The vast creative canvas of the mega rear allows the Academy to profit from long range visibility, enabling supplementary coverage across pedestrians. With over 90% of the UK residing within 5 minutes of a bus route, the campaign will be broadcast to a comprehensive section of the surrounding area.